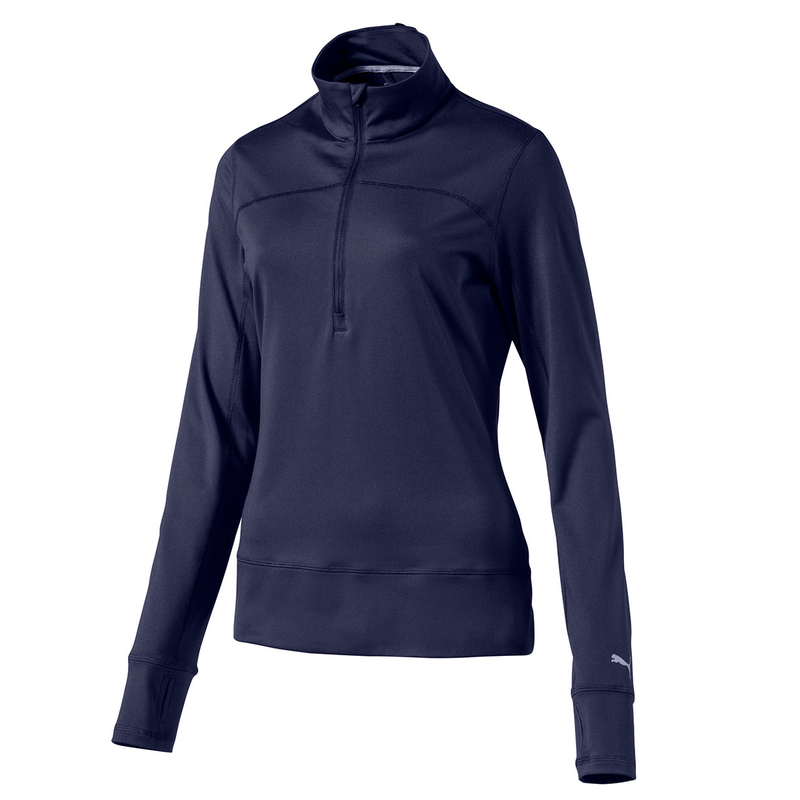 Play golf better, more mobile and warm, with this premium quality layer from PUMA Golf. 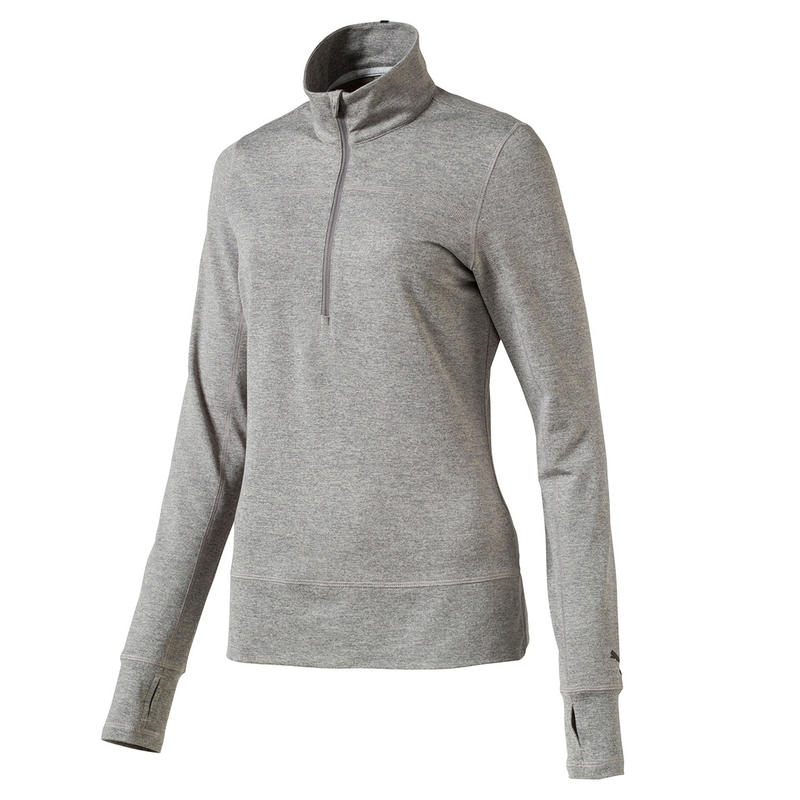 The layer features heat retaining warmCELL fabric to keep you naturally warm and comfortable during your golf game. For extra performance the garment has been engineered with a moisture wicking stretch, giving the golfer the ability to push through the demands of swing, with focus and better agility. The garment has been designed with zip opening, raised neck, and has extra long sleeves with thumb-holes for extra coverage in the cold. Finer details include a PUMA Cat on the left sleeve cuff, and woven 18 Hole loop label on the back neck.